We are passionate about wildlife friendly gardens, use of native plant species and using features and materials in keeping with the surroundings.We keep the use of pesticides and chemicals to a miniumum and wherever possible use biological and natural remedies. We believe that your garden will be for you to enjoy with your family,friends, pets and wildlife. In 2004 we founded The Garden Taylors and have enjoyed helping people with their gardens ever since. Claudine Taylor - RHS Dip. Hort. I studied for the Royal Horticultural Society Diploma at Reaseheath College in Cheshire. The qualification took 2 years and at the end of the first year I achieved my Advanced Certificate with distinction. In total I sat six 2-hour written papers and 10 hours of observed practical tasks. commercial production of flower, fruit and vegetable crops. 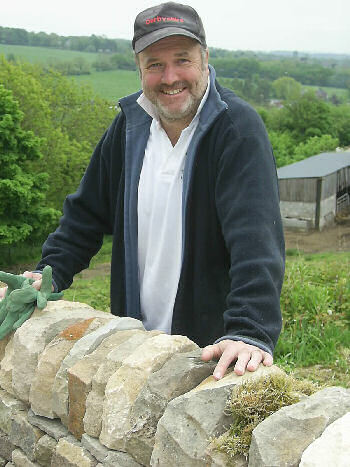 I am a professional member of the Dry Stone Walling Association of Great Britain and the Guild of Cornish Hedgers. I am also a qualified instructor in the craft of walling. 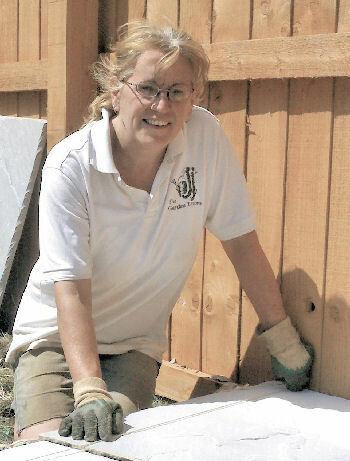 I have also studied stonemasonry and the use of traditional lime mortars which are often essential in the restoration of old buildings and walls. 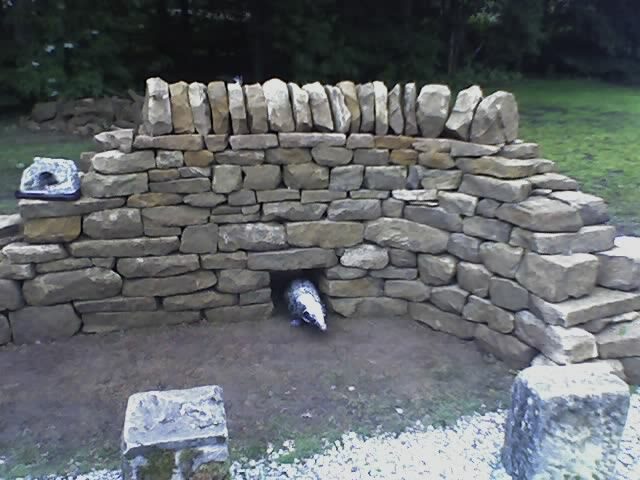 In the summer of 2007, David was part of the Derbyshire DSWA contingent that met Price Charles on his visit to the Moorland Centre at Edale, Derbyshire.The sample wall built on the day shows a "badger smoot", a hole which allows wildlife to move easily through a dry stone wall landscape. Prince Charles is patron of the Dry Stone Walling Association.